Like its predecessor, the recently announced OnePlus 6T is made mostly out of glass. Which means it’s a pretty fragile device, albeit a very sleek one. Between the price of the device itself and the data plan that comes with it, a smartphone can end up costing a lot during the course of its life. So it’s highly recommended that you protect this investment with a case. Especially when you’re dealing with a glassy device like the OnePlus 6T. 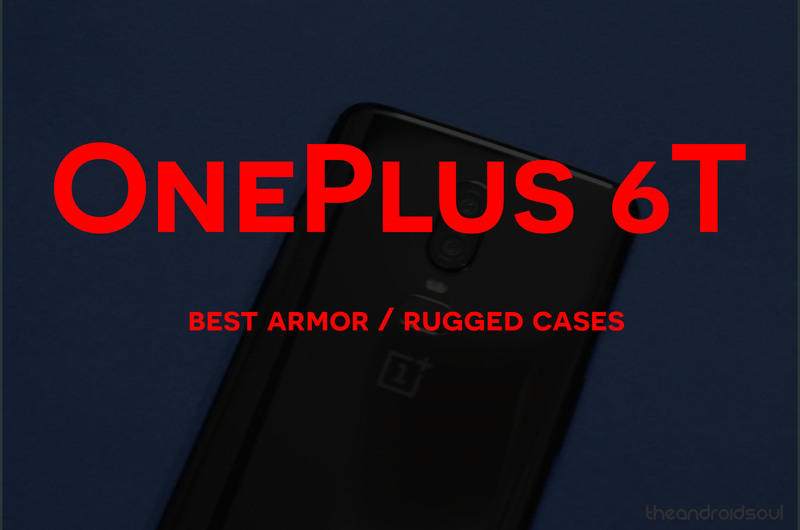 Which is why we’ve rounded up ten of the most rugged cases that will ensure your OnePlus 6T will be able to withstand a few bumps and drops. 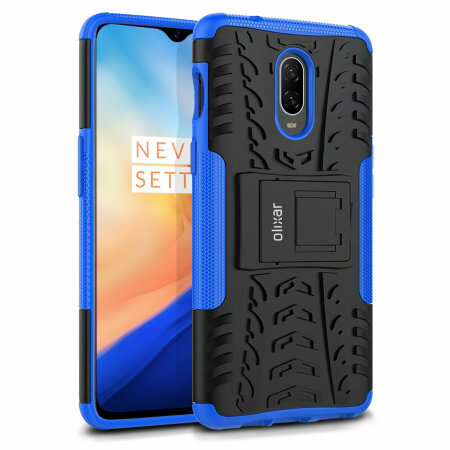 If you’re an outdoorsy individual or the active type, an armor case for your OnePlus 6T is a must-have if you want your phone to have a long happy life. So here we go. Olixar’s ArmourDillo case is here to provide advanced shock and impact absorption for your new device. 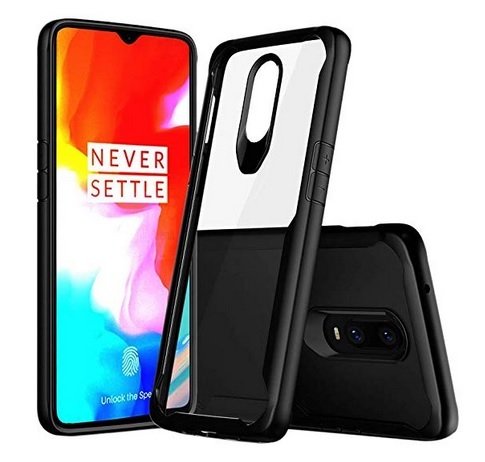 The accessory is crafted from lightweight TPU polymer and has a hard skeleton that extends to protect the OnePlus 6T’s corners and sides. The ArmourDillo boasts a textured finish which improves grip and also comes with a built-in viewing stand. The case is available in Black or Red. The OnePlus 6T is a very new device, so most better-known accessory makers are yet to offer a case for it. But if you want one now, you can simply look on Amazon. There are plenty of obscure case makers selling their accessories on the website. Like MYLB which has a rugged case on sale for the device. The product features a dual layer of shock absorbing TPU interior and an outer though polycarbonate plastic. The inner shell has a built-in texture that not only helps with shock absorption but also with heat dissipation. The accessory also safeguards the four corners thanks to the embedded TPU airbag design. MYLB is selling the accessory in multiple colors including Red, White and Black. Snapping this case on will wrap your device in shock absorbing soft silicone, so you won’t need to worry about your sleek new acquisition getting damaged. The product is ergonomic and adds extra grip. It offers excellent scratch and shock protection at a bargain and also includes a stand. Comes in All-Black or with Blue or Green accents. Not your typical rugged case, although it does offer MIL-Grade protection, unlike the other offerings in this list. Spigen’s case is also slim and very lightweight, at least compared to other products in the category. Obviously, it includes the company’s patented Air Cushion Technology at the corners, for extra anti-shock protection. And the unique anti-slip matte surface on the back offers easy to grip as well as fingerprint-resistance. 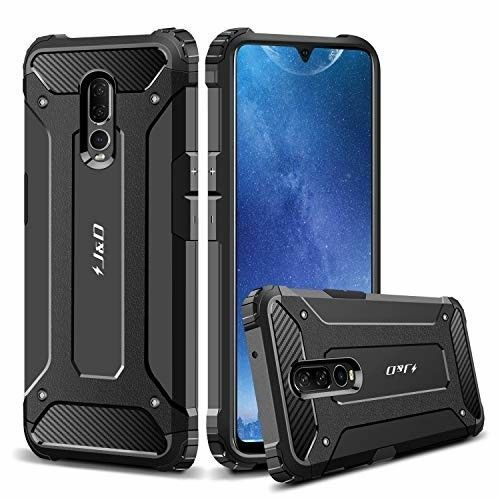 eBay is another great place to start looking for a rugged case, especially if you ran out of money after buying the OnePlus 6T and you want to invest as little as possible into the case. This particular case is offered by a top-rated Chinese seller, which has been It’s lightweight and features an elegant construction. On top of that, the case is super tough and will keep your phone from getting scratches or abrasions, but also from attracting dust or fingerprints. 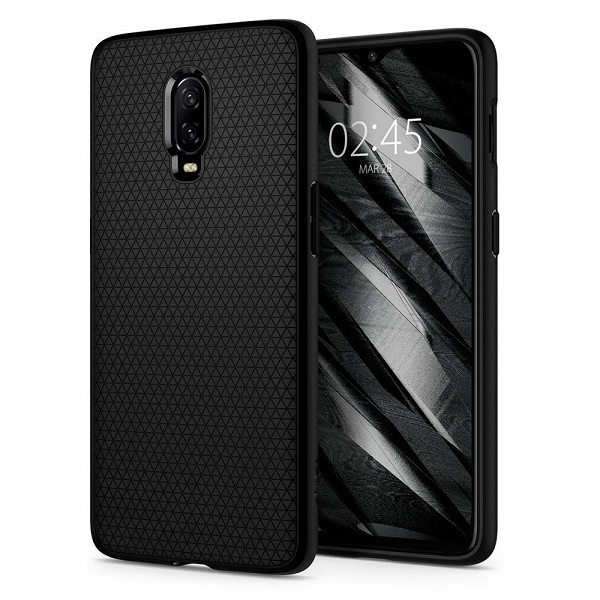 A rugged case for your OnePlus 6T with an interesting pattern on the back. It’s made of a combination of Silicone/Gel/Rubber and so it can be perfectly fitted without effort. It’s shockproof and reinforced with corner airbag design, so your OnePlus 6T is bound to survive any accidental dropping or banging. You can get it in multiple colors including Black, Brown, Blue, Green or Gray. Produce by J&D, an accessory maker that wants to deliver high-quality products at reasonable prices. 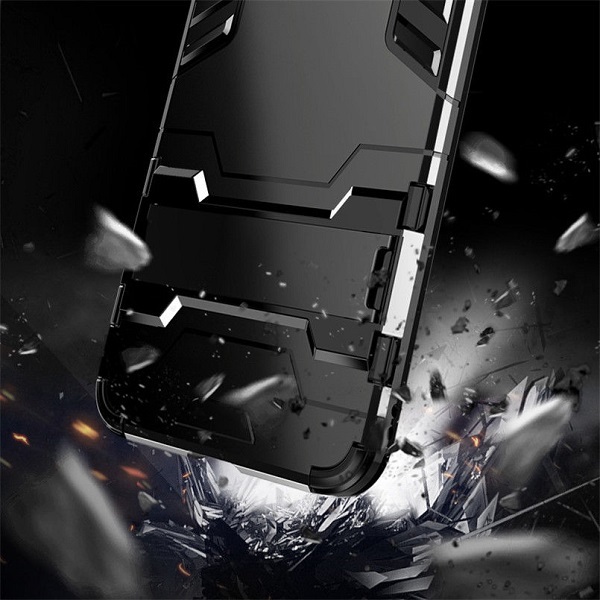 This particular case is designed to provide great protection from front to back. Made of hybrid TPU and polycarbonate, it keeps the sensitive parts safe, while providing easy access to ports. Customers can grab it in Black. 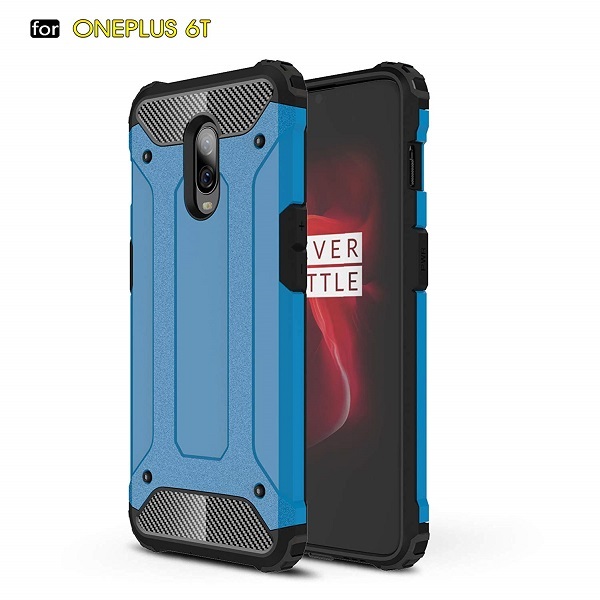 A clear case for the OnePlus 6T that combines some rugged elements. It’s made of a combination of PC and TPU, and will perfectly enclose your phone. The manufacturer has designed to protect against fingerprints and scratches, but also from dust and abrasion. Get it with a Black or Red bumper. 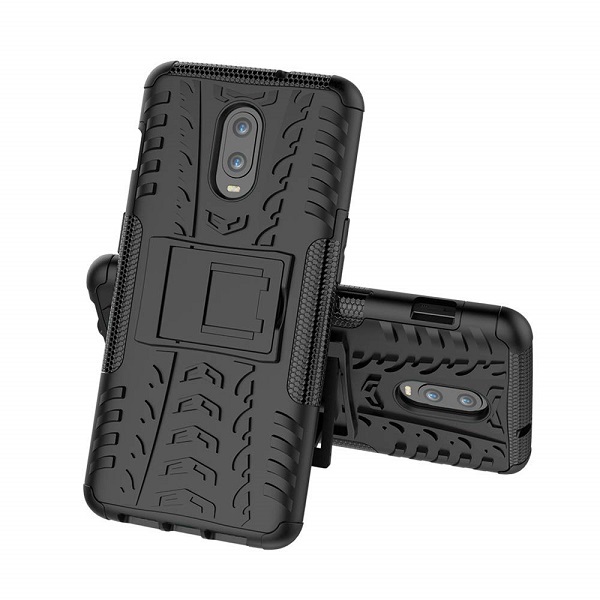 Not a rugged case per se, but one that has a rugged bumper. The OnePlus 6T version is not available just yet, but it’s coming soon. You can actually subscribe to get notified. 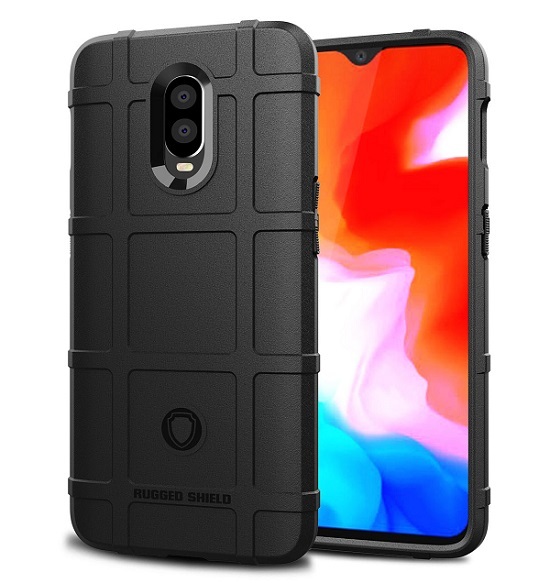 The accessory maker offered a CrashGuard for the OnePlus 6, so we can assume the upcoming OnePlus 6T case will probably also take advantage of RhinoShield’s ShockSpread technology that offers 11ft drop protection. We think the case will also have a raised lip to keep the screen and camera from getting scratched. 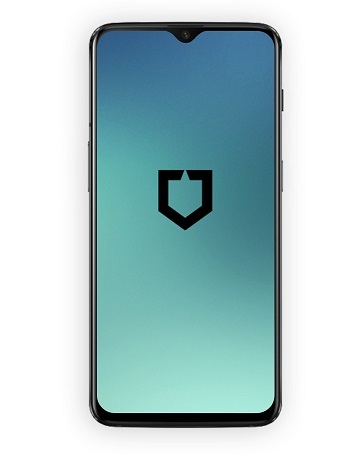 Since the OnePlus 6T is quite new, we expect to see more accessories become available for the device soon. But if you had to choose from the rugged cases available so far, which one would you pick?